Kebara 2 hyoid bone suggests similar linguistic abilities. Whether or not Neanderthals could speak like modern humans has been the subject of a long-running debate. For a long time, it was believed that they did not. Based on the analysis of Neanderthal specimen from La Chapelle-aux-Saints, France, it was claimed that the Neanderthal larynx was positioned high in the throat, like a chimpanzee (or a modern human baby), making it impossible for Neanderthals to produce the modern range of vocalisations (d’Errico, et al., 2003). However, the hyoid bone of Kebara 2, a fossil Neanderthal from Mt. Carmel in Israel, has provided new evidence. The hyoid is a small U-shaped bone that lies between the root of the tongue and the larynx, anchoring the muscles required for speech. The Kebara 2 hyoid is within the modern range in form. Furthermore, by analysis of patterns of muscle attachment, researchers were able to show that the placement of the larynx was similar to that of a modern human, low in the throat (Arensburg, et al., 1989; Arensburg, et al., 1990). 3d modelling work has supported these conclusions. Data from a number of Neanderthal skulls was used to reconstruct the vocal tract. The estimated hyoid position fell within the modern range and acoustic analysis shows that Neanderthals were able to make the quantal vowel sounds (/a/, /i/ and /u/) that are present in all modern human languages. The Neanderthal /i/ and /u/ sounds are within the modern range; /a/ falls just outside (Barney, et al., 2012). The latest study follows on from this work and used X-ray microtomography to map the internal structure of the Kebara 2 hyoid. It was found that this, too, was within the modern range. Mechanical modelling showed that the micro-biomechanical performance of the hyoid under the loadings it would experience when in use was very similar to that of modern humans. Thus the Kebara 2 hyoid doesn’t just resemble a modern hyoid both externally and internally, it was used in a very similar way (D’Anastasio, et al., 2013). These results show that from a biomechanical point of view, Neanderthals were fully capable of modern speech. It leaves unresolved the issue as to whether or not they possessed the cognitive abilities, but there is a mounting body of evidence to suggest that their subsistence strategies and other behaviours were far more advanced than previously believed. 1. d’Errico, F. et al., Archaeological Evidence for the Emergence of Language, Symbolism, and Music — An Alternative Multidisciplinary Perspective. 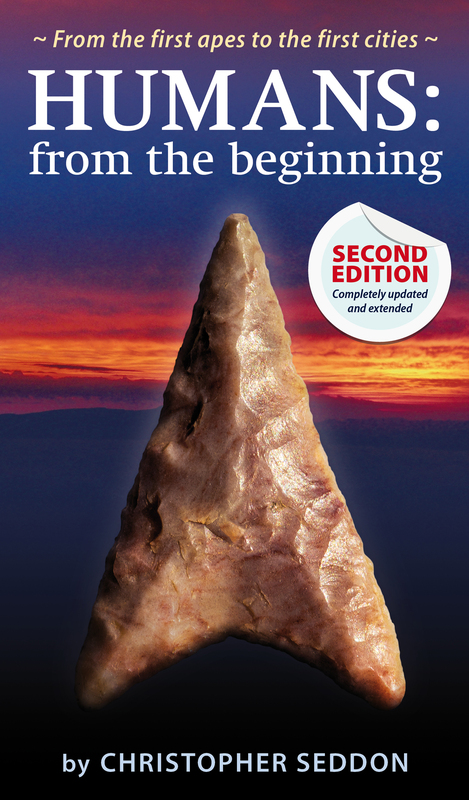 Journal of World Prehistory 17 (1), 1-70 (2003). 2. Arensburg, B., Tillier, A., Vandermeersch, B., Duday, H. & Rak, Y., A middle Palaeolithic human hyoid bone. Nature 338, 758–760 (1989). 3. Arensburg, B., Schepartz, L., Tillier, A., Vandermeersch, B. & Rak, Y., A reappraisal of the anatomical basis for speech in Middle Palaeolithic hominids. American Journal of Physical Anthropology 83 (2), 137-146 (1990). 4. Barney, A., Martelli, S., Serrurier, A. & Steele, J., Articulatory capacity of Neanderthals, a very recent and human-like fossil hominin. Philosophical Transactions of the Royal Society B 367, 88–102 (2012). 5. D’Anastasio, R. et al., Micro-Biomechanics of the Kebara 2 Hyoid and Its Implications for Speech in Neanderthals. PLoS One 8 (12) (2013).